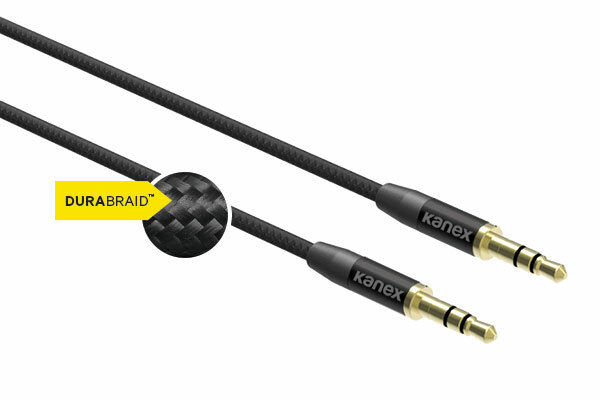 The Kanex DuraBraid Audio Cable features a 3.5mm AUX jack on both ends. It’s your go-to, everyday audio cable that’s built to last. 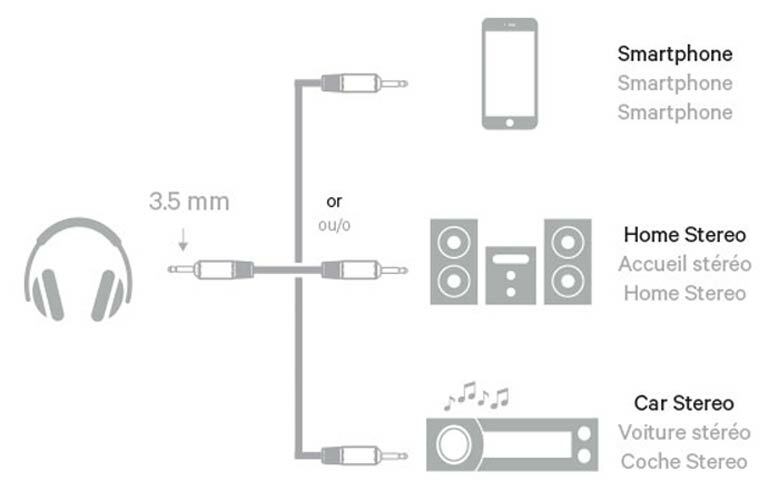 Use the Kanex Audio Cable with almost any media device. The possibilities are endless. Connect it to your headphones, speakers at home or car stereo. This premium audio cable features a 3.5mm AUX jack on both ends. The connectors are gold plated, delivering premium sound quality for your listening enjoyment. Encased in a DuraBraid protective exterior, this audio cable was built for everyday use, wear and tear. They were made to be flexible yet tangle-free, so you can take them wherever you go.. Featuring ultra-slim, mini connectors that are idea for mobile devices, you can plug in without having to remove your bulky, protective case. They’re also ideal for small, tight spaces.